Once you have found some powerful keywords and trending topics, it’s time to write up a quality blog post that users will find informative. 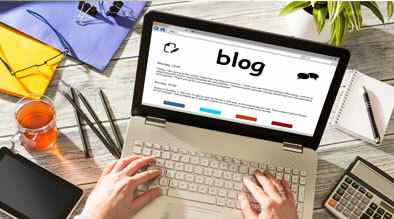 Below we have provided a couple examples of strategies our hotel clients and Milestone’s corporate blog have used to assure strong blog posts and large audience numbers. 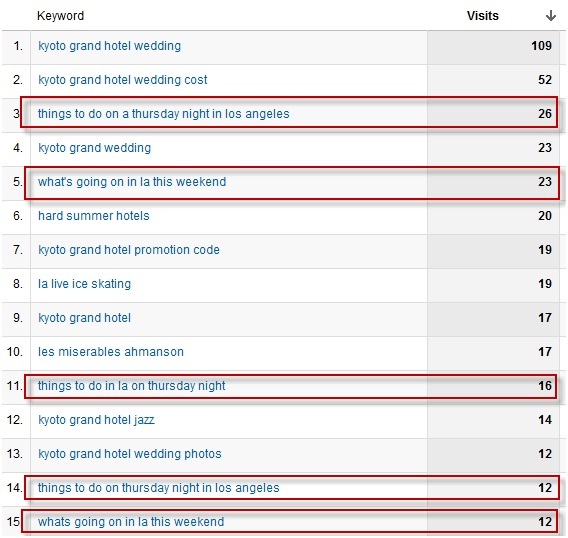 For Kyoto Grand Hotel, located in downtown Los Angeles, some of the most frequent keywords driving traffic to their blog are non-branded keywords (more Internet users are searching for terms like “Los Angeles” than “Kyoto Grand Hotel”). Understanding this, their strategy is to write the majority of their blog posts about local attractions and events. Because Los Angeles offers a wide variety of events and interests, the hotel used this to their advantage. 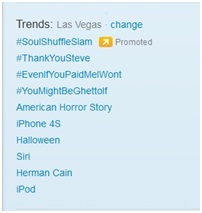 For example, they blog about events at the Staples Center, Dodgers Stadium, downtown festivals, and museums. Their blog posts about events are timed to be posted a week or two before the date of the event. They have even found that some of the top referring keywords are phrases like “things to do in…” or “what’s going on in…”. With this information, the hotel can plan upcoming blog posts to incorporate these phrases. Possible posts could be “Things to do in L.A. this Christmas” or “What’s going on in LA for Halloween”. On our corporate blog, we have been experimenting over the past few months with posting a blog once a week that focused on very timely pop-culture trends (such as the new Harry Potter movie, inflated Netflix subscription rates, etc). We have found that these posts receive on average double to triple the amount of page views when compared to other blogs posted a couple days before or after. Readers are more inclined to share your blog post socially by clicking on a Facebook “like” or Twitter “Tweet this” button because the post is timely and friends are probably socially sharing similar news on the topic you wrote on. Other bloggers, publications, and online channels are much more likely to provide a link to your post since they too may be posting some information on that topic. In conclusion, when drafting up a blog post, you should absolutely spend the first five to ten minutes researching what the most powerful topic would be. From there you can begin to let the creative juices flow.